Thank you to my dogs. My dogs are a blessing in my life. Especially this last year. I learned a lot from Pilot, and continued to learn more when I got Lemmy 6 months later. They test(ed) me, taught me patients, compassion, and helped me to learn when to laugh things off. So Jonathan and I went shopping for Dodger and we spent about almost two-three hundred on some supplies. Some we got from in a store and the rest we got online. So we're waiting on all of our online stuff we ordered, but I'm going to show the stuff we got from the store. I've always dreamed of owning Corgis I envisioned two,a male and a female. I had their names picked years ago. Well I got my Gwenhwyfar. I've been looking for my Arthur..deciding to try the rescue route. Well apparently I was meant to get a Nimue first. We're changing her name to Nimue to stay with the Arthurian legend. She's a rescue a year and two months old. Not spayed...we're fixing (no pun intended) that ASAP. I know I've posted this elsewhere, so if you are seeing this in several places, I apologize. I noticed today that Maple had what looks like filaments, or long thick hair growing from her two back paw pads. First we thought it might be a fungal infection and after doing some research online and looking at some pictures, it sounds like she might have Nasodigital Hyperkeratosis, an ailment that occurs in dogs paws and nose. Apparently excess keratin grows and creates a fuzzy hair like growth on the paw pad. So Jon was exploring the internet (I have no idea what site he was on) when he read this thing called, "The Pembroke Corgi Property Laws." It was funny and thought I would share with you all what it said. 3. If I had it a little while ago, it's mine. Bentley is 1 yr old and since we got a new puppy (female corgi) he has begun acting aggressive with my grandchildren and he never did before. Is this because of the new puppy and what can I do? 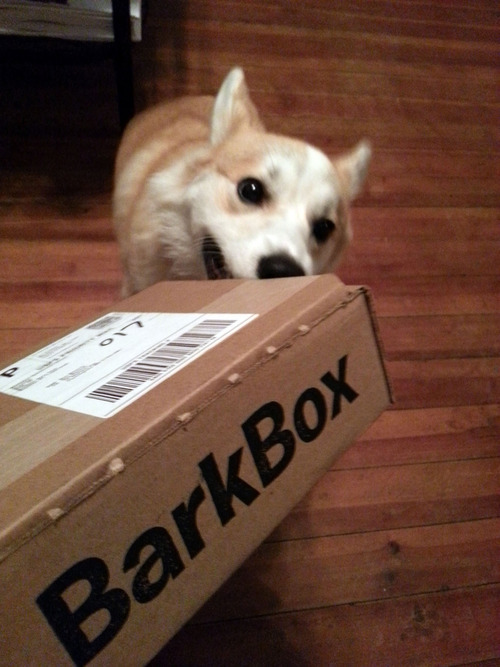 I was wondering if anyone can give me some advice on transitioning my corgi from staying in her crate (until I get home at lunch-then back in until dinner) to hanging out in one room (gated off from other rooms) to allowing her to hang out in the entire house while my hubby and I are away at work. Any advice would help! Moving day not far away now!. Click on this link to help luigi get some votes. There is a $1000 prize for the winner and it would really help pay for school so my parents don't have to pay the entire amount. 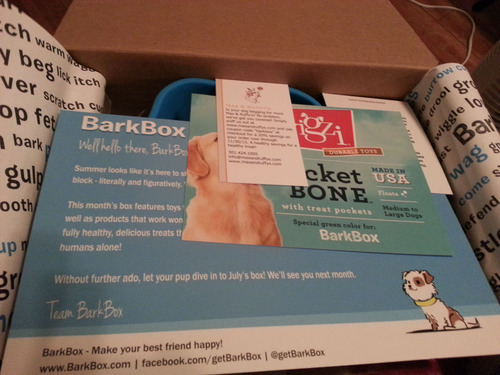 machete’s july barkbox arrived yesterday, and it was full of awesome stuff! like, this was a box chock full of goodies, more than ever before, i think!